Potentially paving the way for regulation in the non-hotel accommodation space in Sri Lanka, Airbnb and the state-owned Sri Lanka Tourism Development Authority (SLTDA) have announced a strategic partnership to launch Airbnb Experiences in the country. Airbnb previously partnered the Tourism Authority of Thailand on a similar initiative for local accommodation, but the collaboration in Sri Lanka is the first in Asia where the homesharing giant is working with a NTO to onboard local experience hosts, officials said. Simran Kodesia, spokesperson for Airbnb in India, told TTG Asia: “We have (rolled out) Experiences in almost 800 cities globally but this is the first time in Asia we have partnered with a tourism authority (rather than) launch Experiences on our own,” she said. Travellers can now choose from more than 40 Airbnb Experiences in Sri Lanka designed and led by local experts. The experiences range from heritage trails in southern Galle to surfing experiences in southern Mirissa, and adventure walks in Sri Lanka’s national parks (across the island) to discovering the best local food spots in Colombo. Kavan Ratnayaka, chairman, SLTDA, believes the move “would be of great value to the tourism industry of Sri Lanka”. Other experiences include tuk-tuk (three-wheel ride) and possibly cricket lessons, said Kodesia. 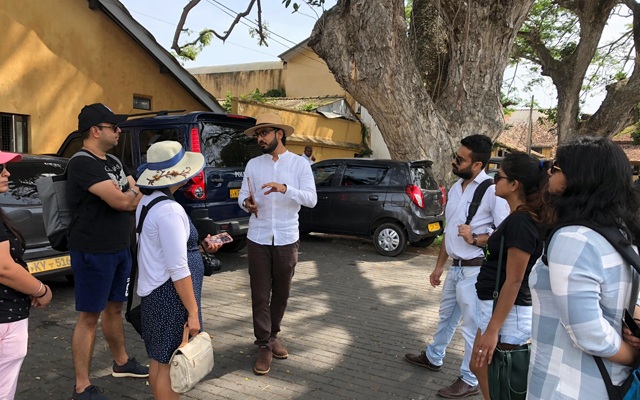 In the local trade, where lack of regulation of Airbnb-type suppliers is a common grouse, the move is seen as a possible step towards “proper regulation”, said Harith Perera, President – Sri Lanka Association of Inbound Tour Operators. Harith added that this bodes well for an outcome where all suppliers on Airbnb register with tourism authorities and pay taxes like formal accommodation providers. Almost 40 per cent of visitors to Sri Lanka prefer to stay in non-formal accommodation including homestays. Airbnb, so bad. Sri lanka, please don’t start with that.